Today Pinterest has launched Analytics for business accounts. Pins – Pins are the daily average number of pins from your website. Pinners – Pinners are the daily average number of people who pinned from your website. 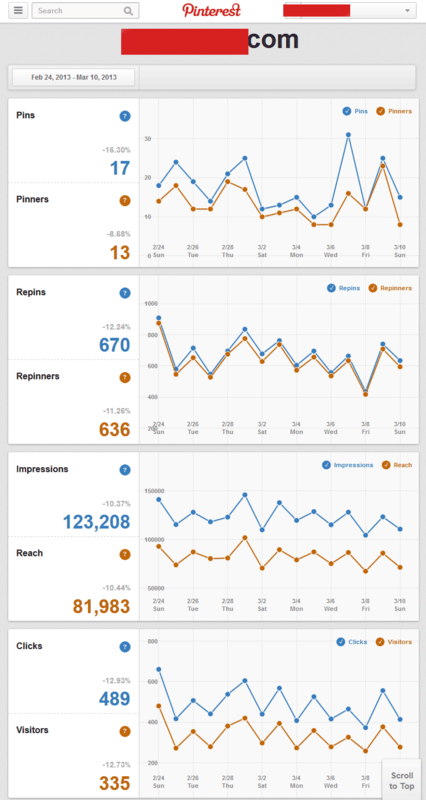 Repins – Repins are the daily average number of times pins from your website were repinned on Pinterest. Repinners – Repinners are the daily average number of people who repinned your pins. Impressions – Impressions are the daily average number of times your pins appeared on Pinterest in the main feed, in search results, or on on boards. Reach – Reach are the daily average number of people who saw your pins on Pinterest. Clicks – Clicks are the daily average number of clicks to your website that came from Pinterest. Visitors – Visitors are the daily average number of people who visited your website from Pinterest. My pins on my account only drove around 10% of the total referrals from Pinterest. So it’s key to remember your need to multi up the reach by this factor. Hence in theory the reach on pinterest during that time period would be 10×123,000 = 1.2million.. Which is much more in-line with other social networks like Facebook and twitter. 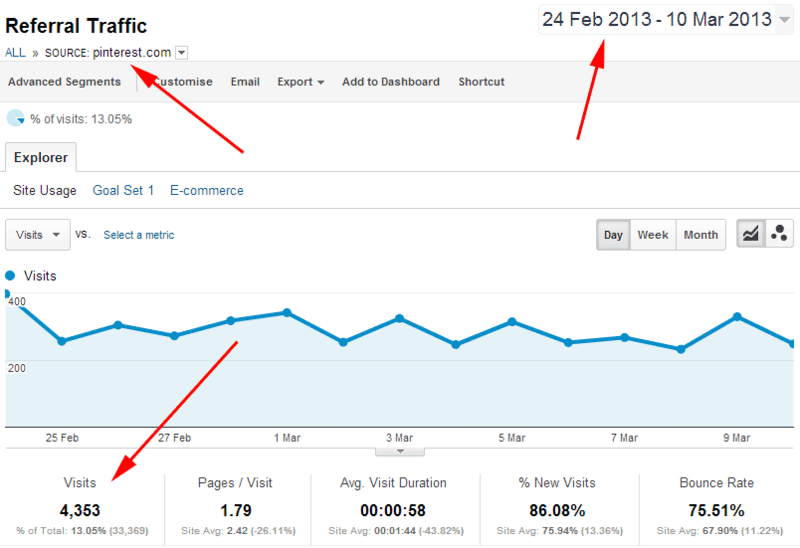 This entry was posted in In the News, Pinterest and tagged Analytics, google, pin on 03/12/2013 by Gabriel Homer.